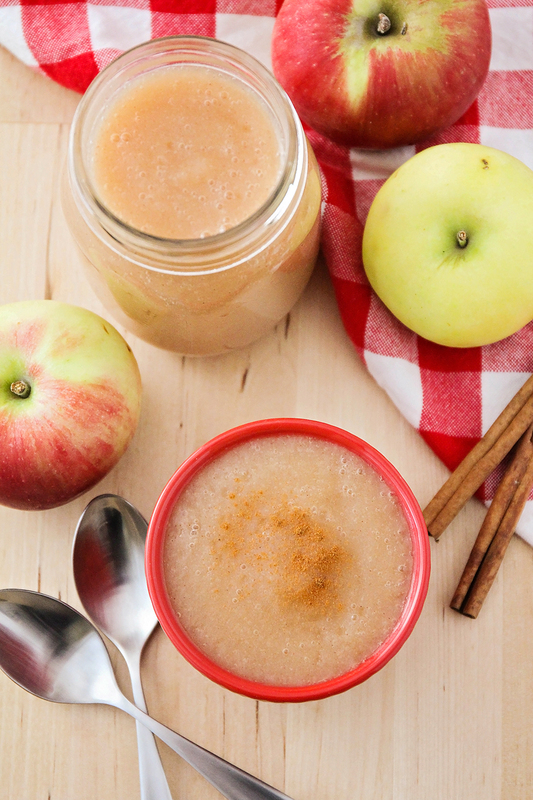 This smooth and sweet Instant Pot cinnamon applesauce is a cinch to make and has only four ingredients! Homemade applesauce is where it's at! 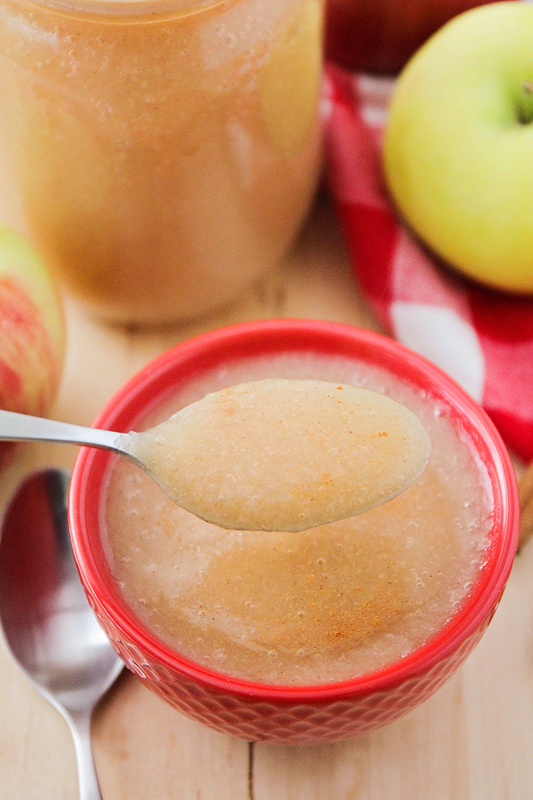 My kids absolutely love applesauce, and we go through it like crazy. I buy two big Costco-sized boxes of applesauce pouches every month for their lunches, and they never seem to get tired of it. 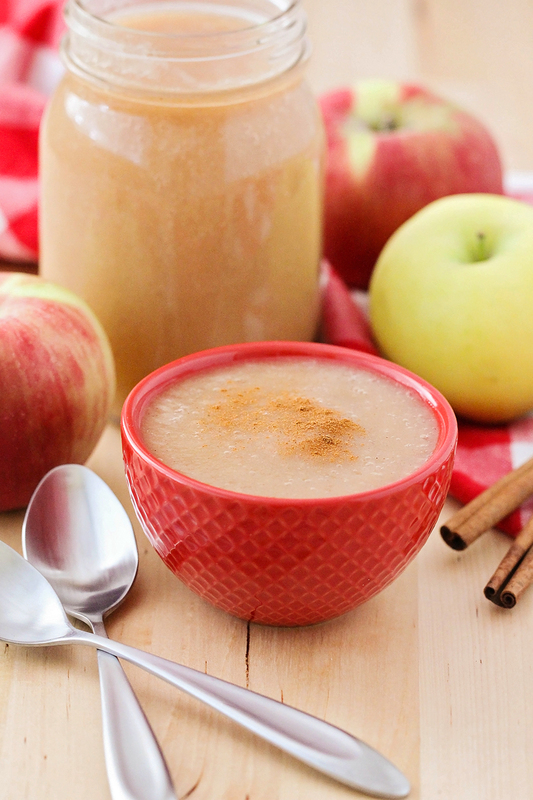 There's something even more delicious about homemade applesauce, though! It has such a nice flavor, and I love that you can adjust the sugar level, depending on the sweetness of your apples. I've been canning applesauce every fall for the last few years, and it's a fun way to celebrate the season. We usually go pick around 50 pounds of apples at a local orchard, slice and boil them, and then process them using my KitchenAid grinder attachment. It's a ton of work, but so worth it! This week, though, I found myself with around a dozen extra apples that needed to be used up. It wasn't enough to pull out the canner and do the whole complicated process, so I started doing research online and found this awesome recipe for Instant Pot applesauce. 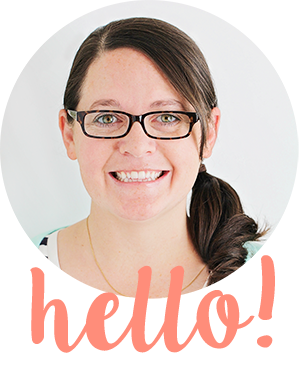 I'm sure you know by now how much I love my Instant Pot, so it was a no-brainer! 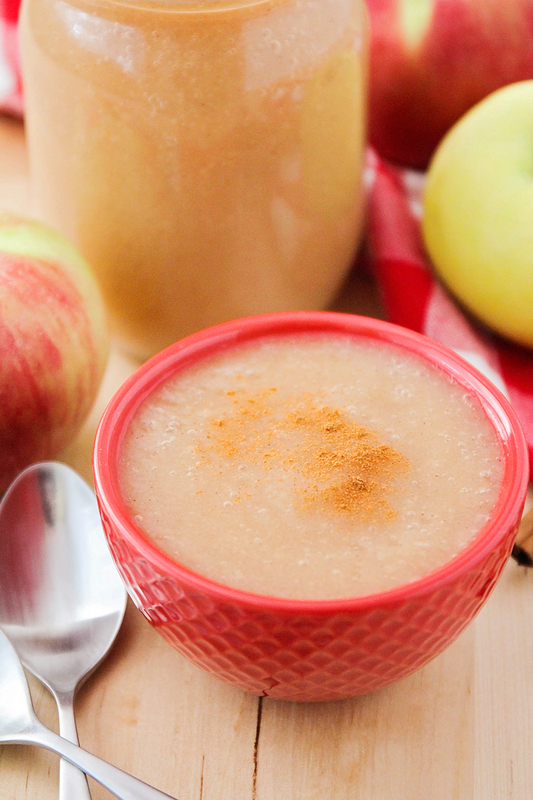 This applesauce could not be simpler to make, and it tastes amazing! I used a variety of apples (some gala, some golden delicious, and some jazz apples), and I definitely think the flavor is better if you use more than one variety. I served our applesauce on the side with some roasted pork chops and potatoes for dinner, and it was delicious! 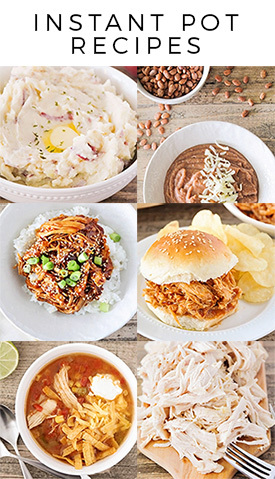 Add all ingredients to the Instant Pot and toss to combine. Cover and cook on high pressure for 5 minutes. Let naturally release for 10-15 minutes, then pull the valve to release the pressure completely. Mash the apples with a potato masher, or blend using an immersion blender, food processor, or blender. Taste and add more sugar if needed. Refrigerate until ready to serve.